To send an email to a lead, search for it using the global search box (next to the Operate logo) or go to Sales > Leads and select your lead from the list (by clicking the company name link). On the lead details page, click Send Email - The link is found in the list of options on the right side of your screen. You can also send an email from under the lead’s Activity History section, by clicking the Send Email button. 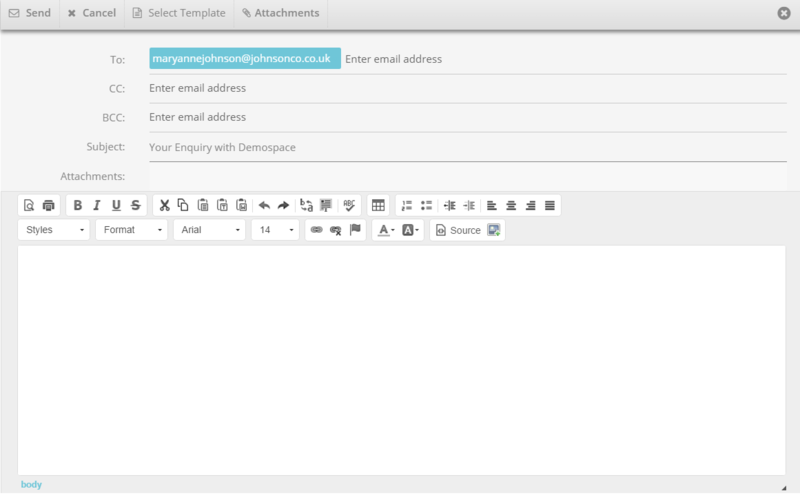 The following screen will allow you to compose your email message, choose the recipient(s) and add an email subject. 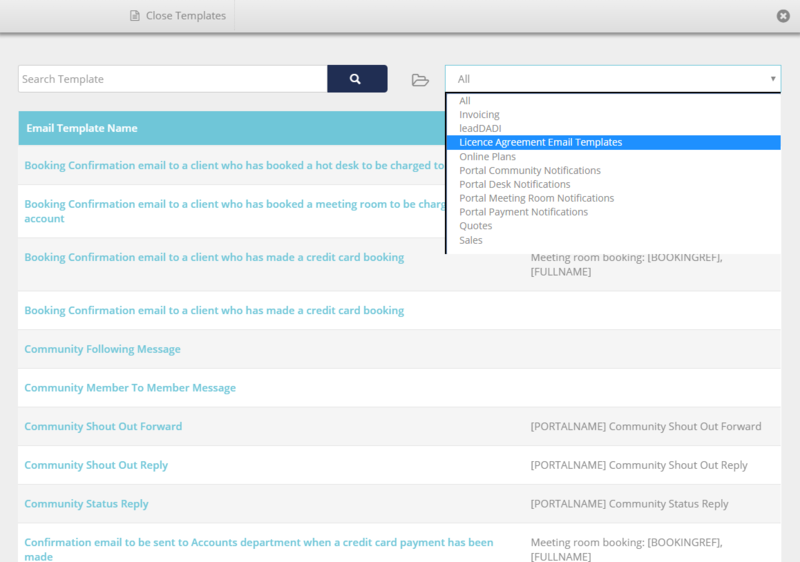 To use a pre-existing email template, click Select Template, at the top of your email screen. Here is where you can search for templates using the Search box on the left or filter by folder,using the dropdown on the right. 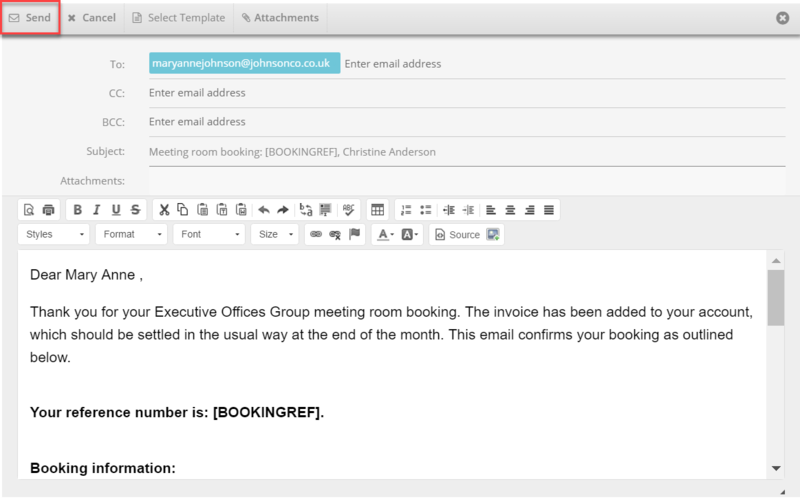 When you have found the template that you want to use for your email, simply click on it and the text will b inserted into your message. To add an attachment to your message, click Attachments at the top of your email screen, then browse your computer for the file you want to attach. When you are ready to send your email, click Send at the top of your email window.